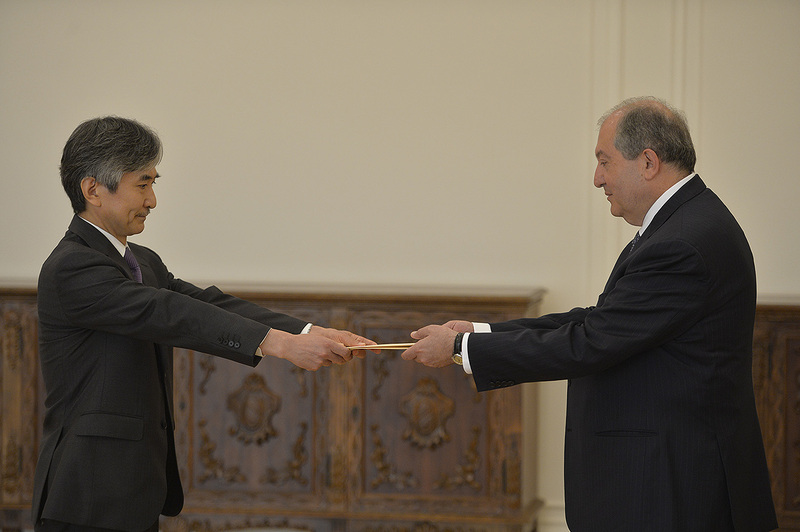 Today, the newly appointed Ambassador Extraordinary and Plenipotentiary of Japan Jun Yamada presented his credential to President Armen Sarkissian. 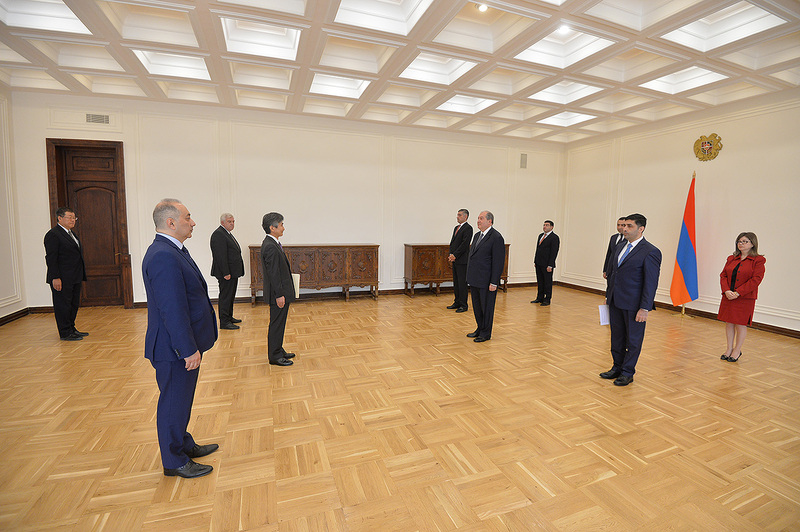 The President of Armenia congratulated the Ambassador on his appointment and wished him every success. 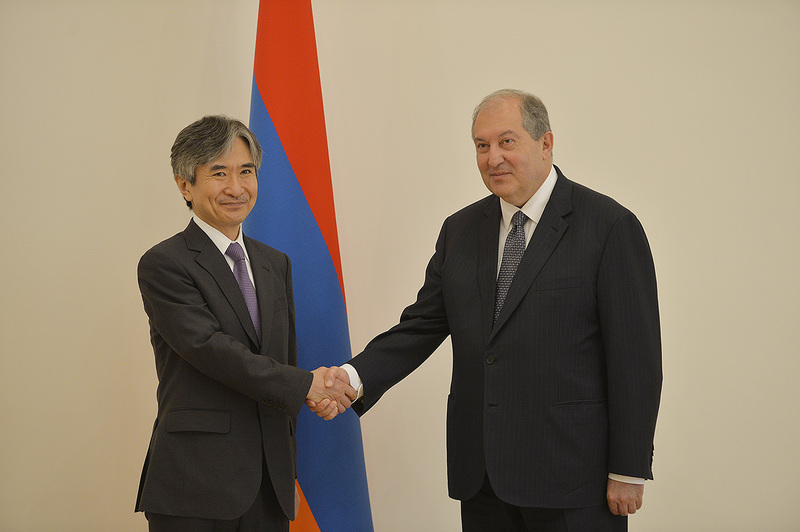 He also expressed hope that the Ambassador through his activities will further the expansion of the agenda of the Armenian-Japanese cooperation for the benefit of two peoples. 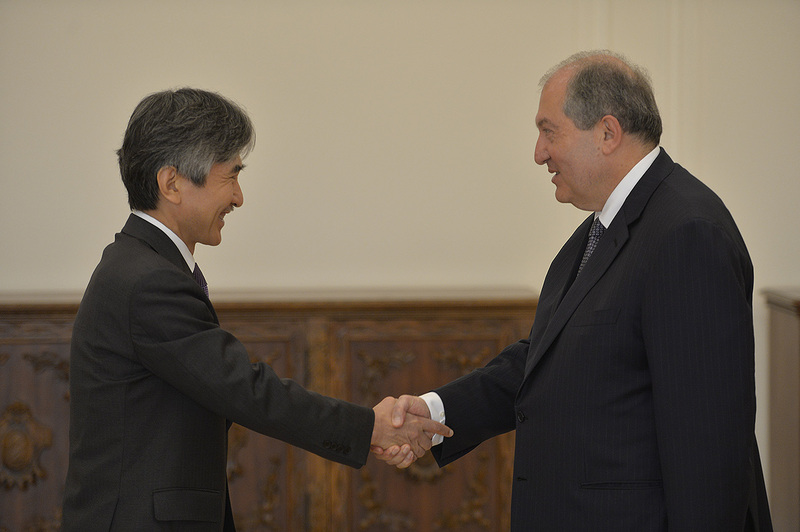 President Sarkissian underscored that Armenia attaches great importance to the friendly and partner relations with Japan as well as the efficient and mutually beneficial cooperation in multiple areas. 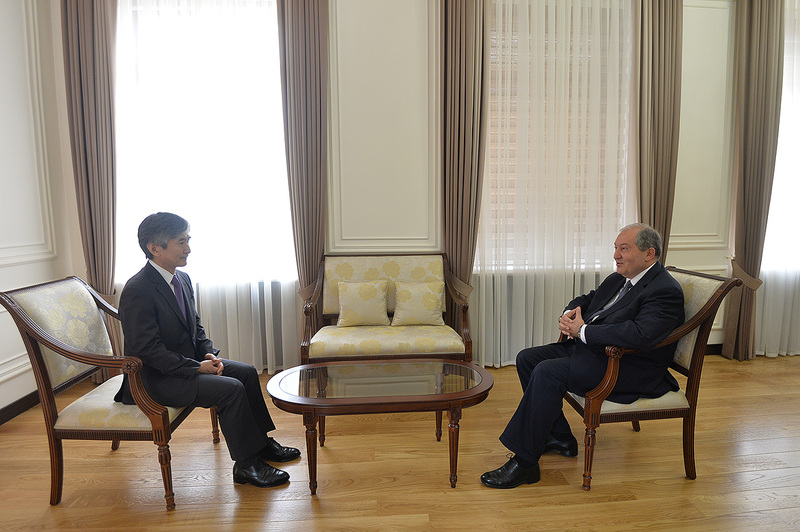 Ambassador Jun Yamada expressed thanks for congratulations and conveyed to President Sarkissian warm greetings and salutations of the leadership of his country. 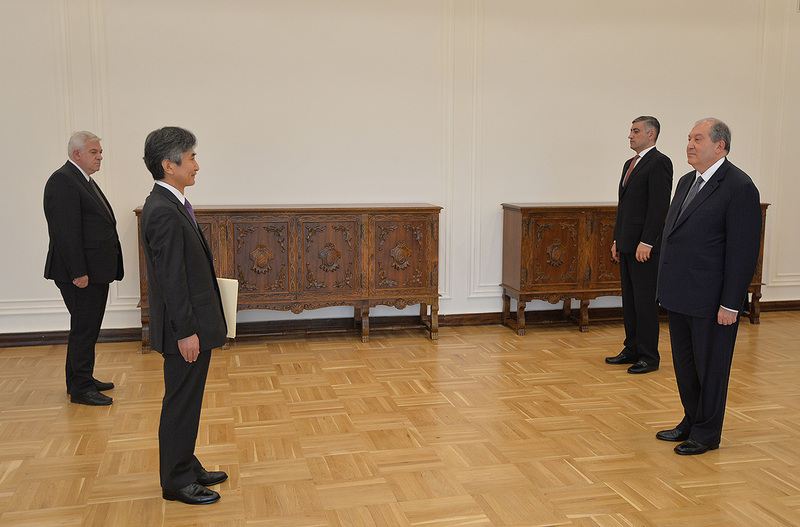 Ambassador Yamada assured that he would do his best to further promote relations between the two countries. 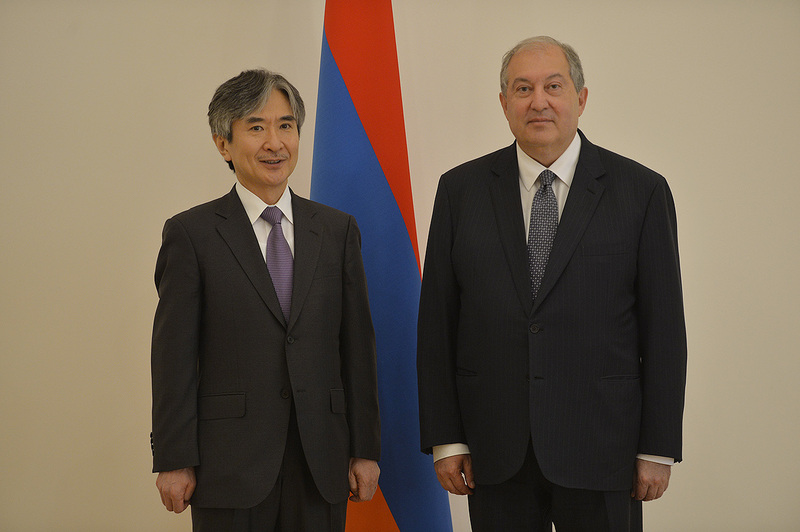 At the meeting, which followed the ceremony of presenting credentials, President Sarkissian and Ambassador Yamada discussed the Armenian-Japanese ties in different areas, opportunities and prospects for their development.